Home Boxer Dog Age How to Help a Boxer Dog Live a Long Life? 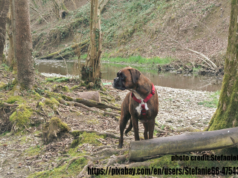 Due to a shorter life-span of a boxer dog, the boxer owners repeatedly ask this question to the expert breeders or try to find out the results to this question in their researches. It is to be remembered, the average lifespan of a boxer dog is 10-12 years in comparison with other dog breeds. For this reason, the boxer dogs unfortunately don’t go too far in their teens and they are died in their early teens. We have already mentioned the health problems and common diseases that might attack boxer dogs in our earlier articles. 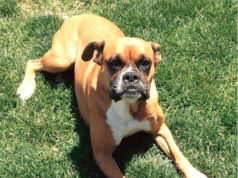 The cardiac issues and cancer are the most important and threatening to a boxer dog’s life. What we can do? In addition to complete care, we can also take some other precautionary measures for the longevity or helping our boxer dogs to live a longer life. Well, these might not be certain but can be effective somehow to make your boxer dog living a long life. Unfortunately, we don’t have a perfect record for the long aged boxer dogs but in 2013, a boxer dog was passed away living a very long life. He was 29 years old and their owners stated, they didn’t provide that dog with some extra care, but he was put in right and appropriate way. 6 Dental care of Boxer dog is of primary importance! 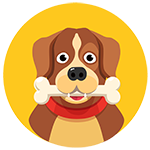 The boxer dog is an energetic and dynamic dog breed which requires suitable diet plan. Give him a disciplined food not only in its puppyhood but also in adult age. Diet which contains restricted calories will certainly help your boxer dog to live a long life. Although boxer dog is basically canine, it is always better to make a food chart and provide him with the proper proportions of meat with veggies. Vaccinations on time to time for your Boxer dog have a key role for the long life. It is needed on every stage of its life. It is recommended, the boxer dog should be screened by a qualified veterinarian on frequent basis to detect the diseases. Prior to breeding, the female boxer dog should also be screened as there might be many diseases that can affect its ability of conceiving or to her health during pregnancy. Brachycephalic syndrome, Pulmonic stenosis, Subaortic stenosis are common diseases that can damage the health of your boxer. Tumors and cancer is another characteristic disease to the boxer dog. 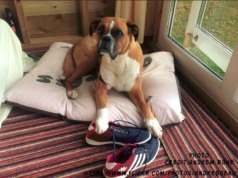 In such cases or another in which proper medical attention is required, the boxer owner must be very vigilant and proper vet must be consulted on time. Right medication on the right time can also enhance the life span of your boxer dog. Yes, if you wish, your boxer to pass a prolonged and healthier life, then proper exercise should be a component part of its life. The duration of exercise and timing of the exercise should be kept in mind. Boxer dog are very sensitive to the weather conditions, so exercise should be scheduled in accordance with the prevailing weather. Regular walks and jogging good enough will keep your boxer dog healthy and fit. Dental care of Boxer dog is of primary importance! You are paying attention to the medical needs of your boxer dog, fair enough. But are you also cautious for its teeth and dental care? Brushing and cleaning your boxer’s dog teeth with correct tools is also really important. If you are negligent, then many bacterial attacks can seriously damage the health of your boxer dog. It’s not really difficult, just a regular routine teeth brushing, providing him with safe chewing stuff and checkups with the vet are required. Good boxer owners always maintain a good and cordial relationship with their boxer dogs. Out of their daily and hectic life, they schedule and fix timings to be spent with their pet in awesome manner. For Boxer, you are his master and leader. He gives you his whole life and reciprocally expects affectionate and congenial behavior of its owner. Do it to make him free from anxiety and loneliness and it will definitely result in a prolonged lifespan of your boxer dog. We have elaborated it numerous times; Boxer dogs are very intelligent and hardworking dogs. They must be provided with challenging and fruitful activities that could enhance their thinking skills and mental grooming. In this way, the brain cells of your boxer dog will stay healthy for his lifetime. If you are also involved in the mental exercises with him, it will keep your boxer dog agile in body and mind. Socialization for a Boxer dog is also so significant for the healthy life of your boxer dog. It is not of solitary nature, so better to keep it in pair. It’s socializing with neighboring people and their pets will also help in uplifting its sprits. They are also keen observers and it is always good, if their interaction with new things is made on frequent basis. In short, we can’t guarantee for the longer lifespan of the short-lived boxer dog, but adopting the abovementioned principles, will definitely help your boxer dog to live a longer life. 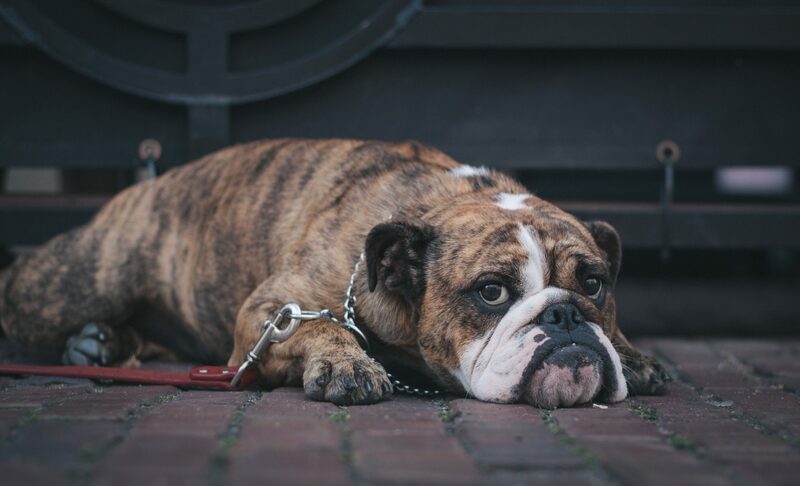 Previous articleBoxer Dog Allergies – what you Know About them?